The swing ride or "chair o planes" is a popular and famous ride at carnivals and amusement parks. The ride uses centrifugal force to lift you up and up as you spin faster! We get to make one with lights, music and more with the help of CRICKIT and cardboard. First up, we'll build the structure of the swing ride, starting with the circular top. Cut out one of the faces from your medium-sized cardboard box. The face should be at least 25 x 25 cm. Cut a piece of twine or string about 18cm long, tie it to the thumb tack, tie the other end of the string to a pencil. The distance from the tack to the pencil should be roughly 10 cm. Use a ruler to draw perpendicular lines going through the center of the circle. Use a hobby knife to cut out the circle. Measure the diameter of your cylindrical base. The paper towel roll piece I used was roughly 4.4 cm in diameter. From the center of the circle top, draw a mark that is half the diameter of your cylindrical base on all 4 lines. Take your cylindrical base and make sure it fits right in with the marks you drew. Lastly measure the distance from the edge of the circle top to the mark you just drew, divide by two and place a mark. Repeat on 3 other lines. Cut (4), 5 cm pieces of string. Cut (8), 20 cm pieces of string. Cut out (4) 2X4cm pieces of cardboard. Make a mark in the center of each of piece of cardboard on one side and two marks equidistant from each other on the other side. 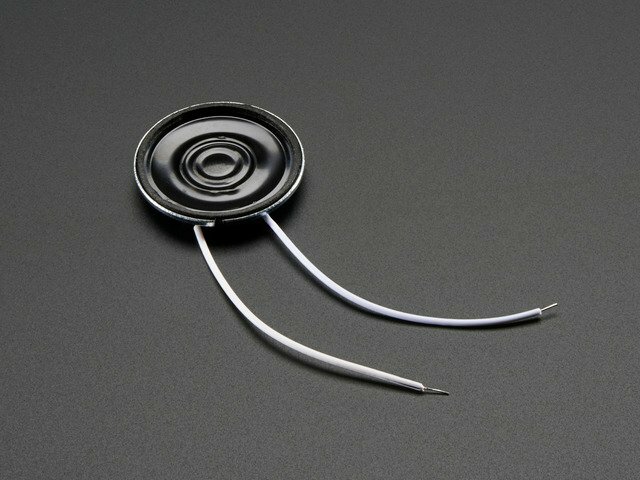 Use a glue gun to glue the shorter strings to the marks made on the circle top. Now glue the cardboard pieces to the string using the center mark you drew. Glue the long strings to the equidistant marks you drew on the cardboard pieces. Score one side of the larger pieces to fold at 90 degree angle. Glue one of the smaller pieces on each side of the bent piece. Glue string ends to chairs. * Note: when gluing string ends to chairs, be aware of differing string lengths which may how upright each chair might sit naturally. Center the cylinder in the middle of marks drawn earlier and glue in place. Center the motor wheel on the other end and glue in place. 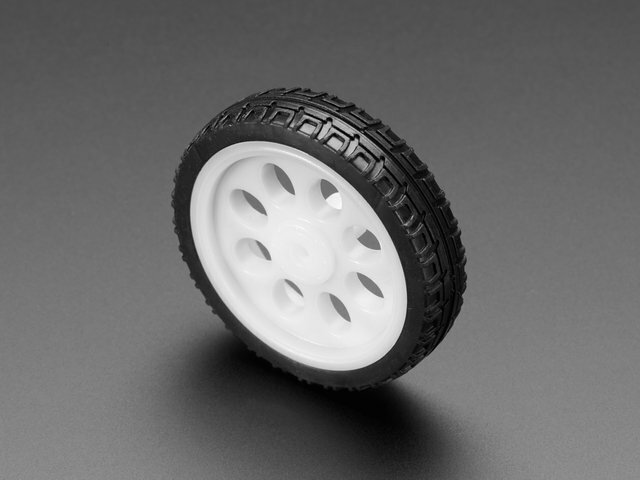 Reenforce glue along the wheel and cylinder for a strong, sturdy connection. 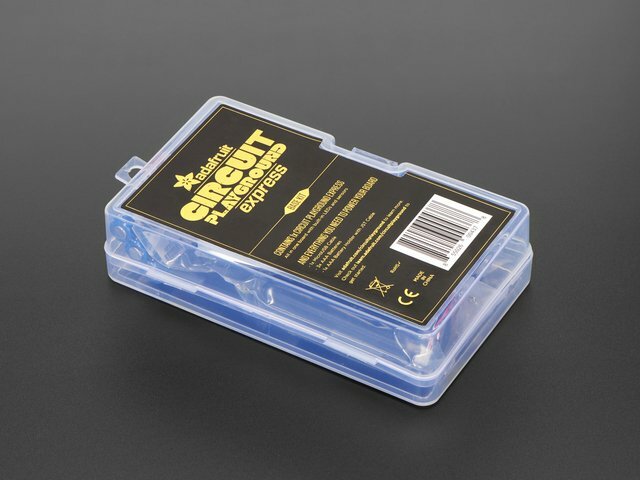 Find the center of mounting box and draw a mark (if using Adafruit box, use the bottom of the box for mounting). Take a pencil or pen and create a hole. Place the motor down on hole with cables facing up. Place some pressure on the motor. Create another hole where the cardboard is imprinted from the bottom piece of the motor. * Note: These holes will be used to stabilize the motor to make it easier to mount in place. Screw in one of the M3 screws to one side of the motor. Fasten with hex nut on the back (inside of box). Repeat with other side and end of motor. Now attach the swing structure to the motor on the base! LOOKIN' GOOD. Use a level on the circle top to see how level the swing ride is. If it needs some adjusting, you can toss a small piece of cardboard under the motor to counterbalance the tilt. You may have to temporarily unscrew some of the mounting screws to insert the cardboard piece. Attach the red wire (5V) from the motor to the outside pin on motor terminal 1. Wire the speaker to the CRICKIT (wire orientation doesn't matter here). Use a small knife like a multi-tool to screw in screws and secure wires in terminals. Orient CRICKIT so that the capacitive touch pads are facing you. Use tape to secure the speaker and CRICKIT in place on box base. Now that we have everything built and wired up, it's time to make it spin! 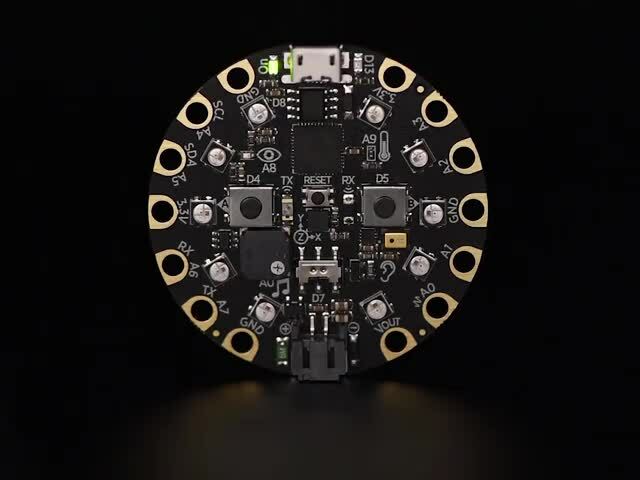 If you have some experience or are up for a challenge try out the CircuitPython code! MakeCode is a web based code editor for physical computing made by Microsoft. 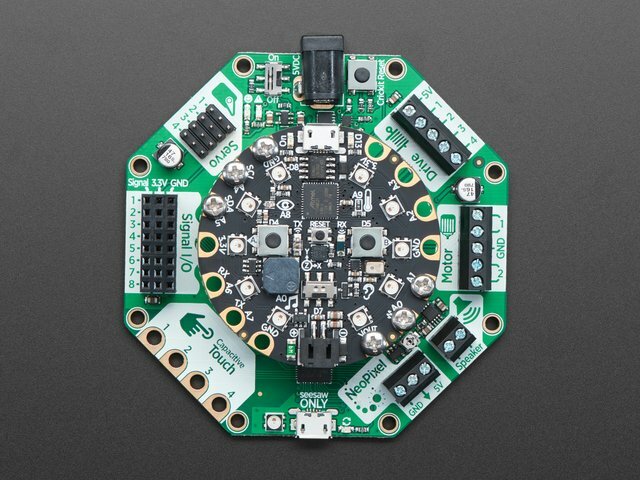 More on MakeCode for Adafruit boards here. Before we start programming, let's make sure you have the CRICKIT extension installed in MakeCode. Detailed instructions on how to do that can be found in this guide. Head over to https://makecode.adafruit.com/ and create a new project. What's going on in the code above? *Note: the % value of the motor can be negative if you wish for the swings to rotate the opposite direction. 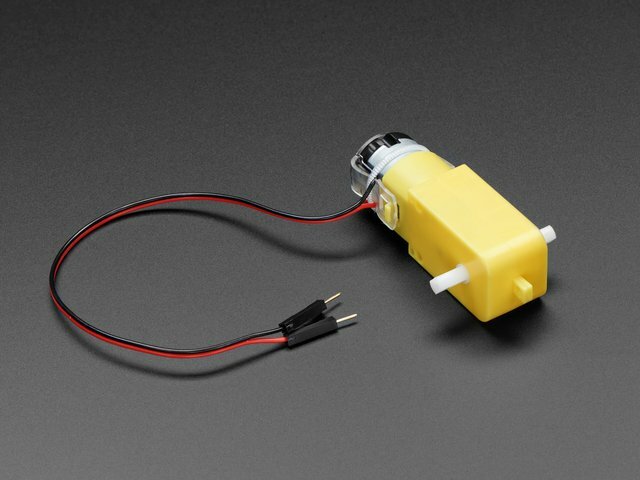 Switching the wiring of the motor will have the same effect. Now that we have the code for the project, we need to upload it to the Circuit Playground Express. Let's name our file and download it. Choose a name at the bottom of the page. Then click the pink Download button. 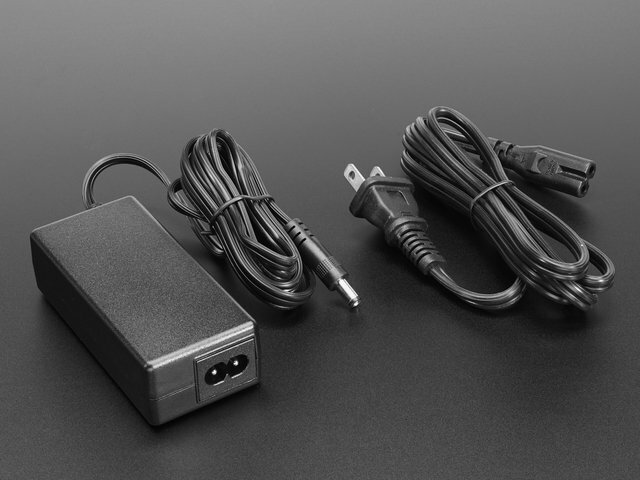 Follow the directions and connect your Circuit Playground Express to your computer via the usb cable. Click the Circuit Playground Express Reset button once to go into programming mode (all NeoPixels will turn green). In some cases, you may need to press the reset button twice to get into programming mode. Next, look for the file in your downloads folder and drag it onto your CPLAYBOOT drive that should have showed up in your file manager/finder when you plugged in your board and entered programming mode. You should now see the CPLAYBOOT drive disappear. The code should now be running so try it out! If you are having issues getting things to work check out this extended guide here. Try changing the % value of the motor to various values and see what happens! Are you new to using CircuitPython? No worries, there is a full getting started guide here. If using MakeCode previously, you'll have to go back to switch to CircuitPython mode. Find out how to do that here. To edit the CircuitPython code and receive realtime feedback in the REPL, Adafruit suggests using the Mu Editor. You can learn about Mu and installation in this tutorial. If you haven't used Circuit Playground Express with CRICKIT before, make sure you've updated it with the latest special 'seesaw' version of the CPX firmware. This guide will show you how. Open up the Mu editor or an editor of your choice with a REPL. Download the code below or copy and paste into Mu and save as code.py on the CIRCUITPY drive. motor.throttle = i    # slow down! We'll begin the program by importing the necessary libraries and initialize the variables we'll be using. If you think you might be missing a library, you'll be covered by installing the whole library package. Find out how in the CircuitPython Essentials Guide on CircuitPlayground Libraries. Set up and initialize speaker, buttons, motor and NeoPixels. The music for this project was provided by robcro6010 on freesound.org a "huge collaborative database of audio snippets, samples, recordings, bleeps, ... released under Creative Commons licenses that allow their reuse"
CircuitPython needs sound files formatted a certain way to play them. See this guide for ensuring your sound files are in the correct format. Once you have the file, place it in the top level (root) directory in your Circuit Playground Express CIRCUITPY drive. This code searches for a .wav file on the drive, plays and loops it. motor.throttle = -0.11 + motorInc  # increase speed! motor.throttle = i   # slow down! The while True: loop will be running forever once the program has entered it. * Note the values for the motor are negative because I wanted the ride to spin counter-clock wise. I could have also changed the orientation of the motor wires in CRICKIT. If the music isn't playing, make sure the file is formatted correctly and that the file is in the top level (called the root) directory of the CIRCUITPY drive. Use the REPL in Mu to tackle code related issues. 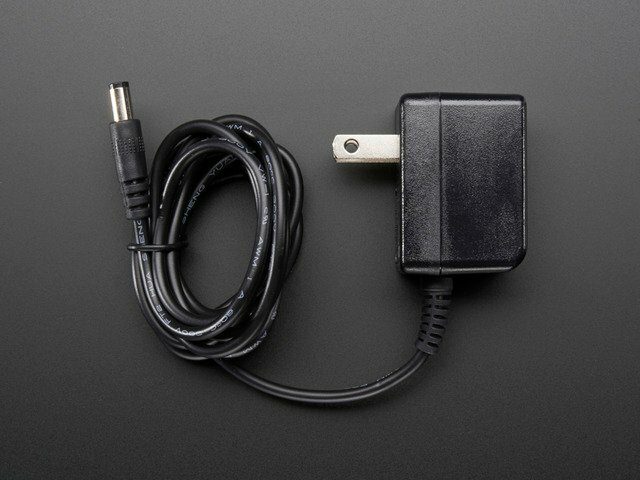 If having motor problems, check that you have a 5V power supply attached to the DC jack on your CRICKIT board and that the on/off switch next to the power jack is in the on position. Glob the glitter glue all over the cylinder. Use a popsicle stick to uniformly transfer the glitter all over the cylinder. Follow the swirl of the cylinder with another color of glitter glue to create a "barber shop" effect. Let the glue and glitter dry overnight. Attach some plastic jewels or other decorations to the perimeter of the circle top. Create a pattern and repeat all the way around the top. Click the button below to download a pdf of the characters used in the project. Or make your own! Cut out character with scissors and glue to cardboard. Cut out character from cardboard with hobby knife. Cut out (4) 2 x 3 cm pieces of cardboard to glue to bottom of characters as a stand. Cut out (8) 2 x 3 cm pieces of hook and loop tape (4 pieces of hook and 4 pieces of loop). Place one hook piece on bottom of character. Place the loop piece on a chair. * Tip: Cut out character with scissors completely before glueing to cardboard and cutting out with hobby knife. Will end up more clean looking. Cut out Adafruit logo using method from above. Glue upright to center of circle top. You may find the swings do not all face one direction when done. Use a hot glue gun to put some glue on the small string at the top of the swing. Twist and hold swing until the orientation is just right. Enjoy your new swing ride & cardboard buddies! This guide was first published on Oct 28, 2018. It was last updated on Oct 28, 2018.